We are a family of oystermen since the 1940s and operate one of the last standing traditional oyster farms in the United States. Norm Bloom and Son is a fourth generation family-owned farm that provides a high quality, consistent and sustainable product to our customers nationwide. 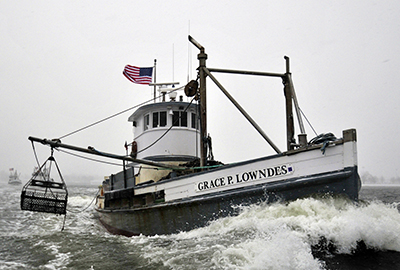 With a fleet of fifteen boats and a dedicated crew, we harvest year round from the deep, cold, and nutrient-rich waters along the coast of Connecticut. Oystering is our passion and we take pride in what we do! Known for their unparalleled freshness, sweet briny flavor and plump meats. Four generations of harvesting oysters – the traditional way. Come in and shop for a great selection of oysters, lobsters and clams. Sign up with your email address to receive news and store updates. Thank you for signing up for our newsletter – see you soon!